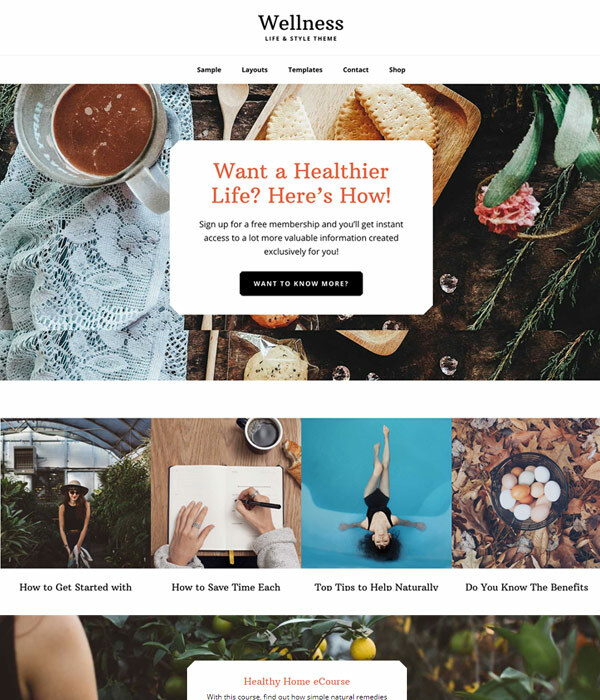 The demo site looks great and the content and images picked for the demo do a perfect job of showing how suitable this theme would be for a fitness and health blog. There is lots of imagery on the homepage interspersed with simple typography and the layout is very clear and easy to follow. There are no gimmicks here – just a great layout with a simple and effective design. Article pages are very clean and straight forward. I’d like to see some more imagination here. They just feel a bit to plain to me but they would be fine if you are happy with a basic design. The category and author archive pages are the same. There is nothing wrong with them but there is nothing that stands out in those templates either. 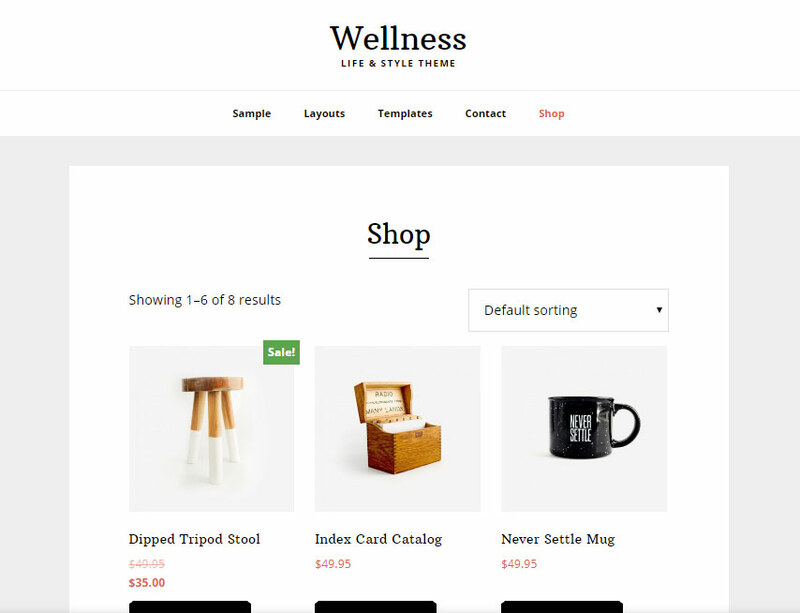 Wellness includes the ability to set up a WooCommerce shop with simple and effective shop page templates included. One of the main attractions of the Wellness theme for me is the fact it is based on the Genesis Framework. Genesis provides a rock solid base for any WordPress theme and it currently powers over half a million other WordPress sites. The framework gives you a fast, secure code base and useful features like instant updates and widget and layout options. You find any difficult to use features in the backend of the Wellness theme either. Everything looks familiar and simple – no complicated layout builders to learn or clunky options panels. A great looking theme with a lovely homepage. Some of the internal pages feel a bit flat and boring but overall, the simple, clean design works well and would be very suitable for a wide range of different websites. Take a look at the demo today to see what you think.